A Manual Penalty is when Google removes your site from search results (or pushes it way to the bottom) due to unnatural links. They wreak havoc with businesses, who see a sudden and significant drop in traffic as almost all of their organic visits disappear overnight. This sort of action isn’t just an inconvenience; it can seriously damage your business and your profits. Fixing a Manual Penalty can be extremely time consuming – in some, unusual, circumstances it can be sorted out straight away but in most cases you’ll submit 2-4 reconsideration requests before having the penalty removed. Once you’ve submitted a request, it can take anything from a few days to several weeks to hear back from Google about their decision – in that time, your business still needs to get visits and make money. Unfortunately, you can’t rely on content marketing alone at this point since your content simply won’t rank or get found organically. That’s why it’s time to generate traffic from existing customers and other platforms. These are just a few ideas to get you through the penalty period – a lot of businesses implement these changes and decide to continue with them as they can be extremely lucrative. Email marketing is excellent because you’re using a list of people who already know about your products and have already had an experience with you. It takes on average 7 touches before someone interacts with a brand, but with email marketing you cut through that to re-engage existing customers instead of trying to teach a completely new person about your brand and value proposition. Use your existing data to send out special offers, new products, or just ‘you may be interested in’ emails to people in your database. The key here is segmentation – you need to use as much information as possible to send out timely and relevant messages. If your customer has only ever bought female accessories, it’s a mistake to send them information on male toiletries – the email will be deleted and they won’t think future messages are relevant either. 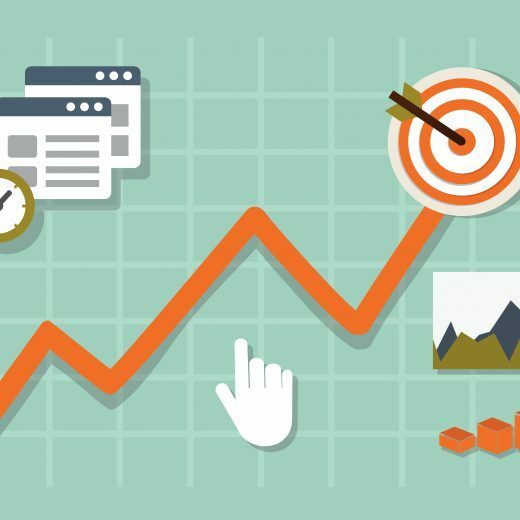 If you use this channel properly, it should have an excellent conversion rate, so even a small list can make up for a much larger loss of organic traffic. Even if you’ve been removed from Google’s organic results, you can still appear with a paid advertising placement. The top 3 results get 41% of clicks for each search term, so it’s important that you big competitively if you want to make up for the traffic loss. Unfortunately, a lot of people use ad blockers or simply ignore ads (85% of clicks are by just 8% of web users) so it can’t replace organic results completely but it’s a reasonable stand in. Look at the phrases people were using to reach your site originally, and tailor your campaigns around those items and your existing landing pages to make sure that you appear when potential customers are looking for you. Good landing pages will also contribute to your quality score, which reduces the amount you pay per click or for higher positions. While you’re poring over your looks, take a look at where your referral traffic is coming from; could you add more sites to this list without building spammy links? Maybe you could improve your exposure on each referring site to gain more traffic without building any more links. The links to your site should exist because you have content or products that are relevant to the page or site that contains the link, so referred traffic is already engaged and either researching the subject or actively looking to buy. Content marketing (and distribution), blogger outreach, and video marketing can all improve your referrer profiles and increase the number of quality links back to your site without risking a penalty. One of the most important things to do when you’ve had the Manual Penalty removed is to learn – Matt Cutts has clearly said that penalties for repeat offenders are worse and it can take longer to be reinstated. A good SEO strategy will gradually improve rankings and can include linkbuilding by working with reputable sources and providing real value for people who follow the link to your site.